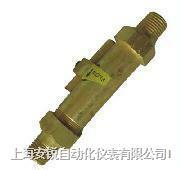 · HF78 Flow Switches are used to sense the change of flow that passes the pipeline,playing a role of protection. · Flow Switch employs a SPST micro switch (magnetic control). · The inside parts are made of the corrosion-proof stainless steel material.